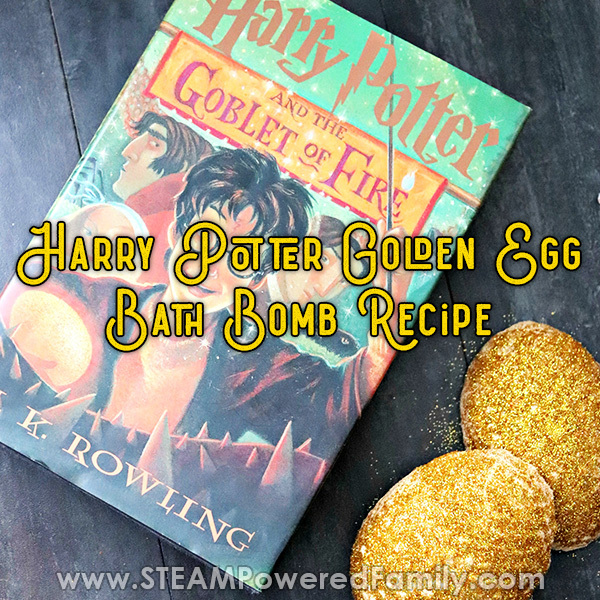 This Harry Potter bath bomb recipe is the coolest! We are so obsessed with everything Harry Potter,and have been for years. But lately that interest has gone through the roof with the addition of two cute little kittens in our lives named Harry Potter and Ron Weasley. Since they joined the family we have renewed our passion for all things Harry Potter. 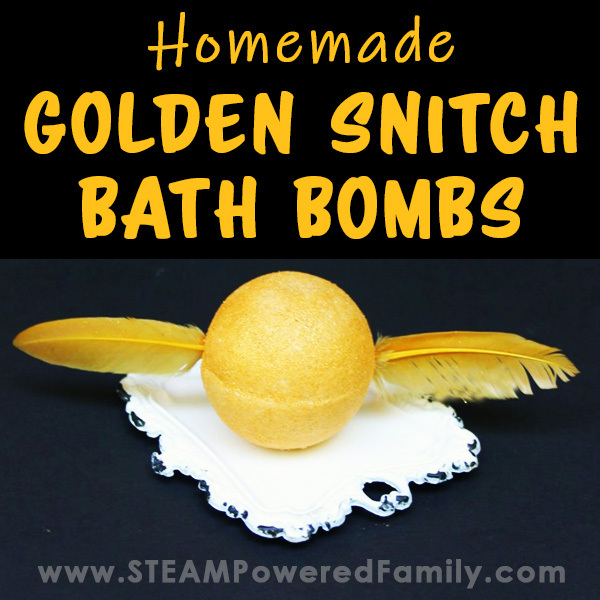 We started with some awesome Harry Potter slime and now we have this amazing Harry Potter Bath Bomb styled like a Golden Snitch! Perfect for bath time fun! 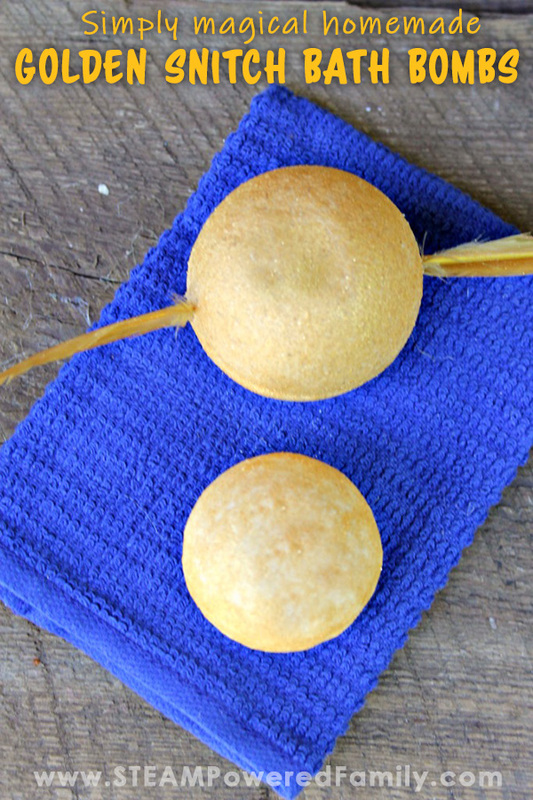 The best part of this DIY Bath Bomb is that once again we played with the recipe and this one gives a fragrant, wonderful bubble bath after the fizzing wears off. My youngest is a total water baby and bath time is one of his favourite parts of the day. So when I get the chance to make bath time extra special for him with bubble bath playdough, a special new soap to celebrate back to school, or a new bath bomb, his smile lights up the room. The other thing that lights up the room is my son’s love of our new kittens. As many of you know, my son suffers from childhood trauma disorders and we have spent many years in therapy. The most effective therapy for him was animal assisted. Those animals were able to connect with my son and help him heal in ways the best therapists couldn’t do. For the past few years we have been doing therapy at home and we needed to bring in the healing power of animals. It took a little while to find the right kittens, but Harry Potter and Ron Weasley are the perfect therapy cats. The other thing that helps my boys, the power of Harry Potter and the amazing messages JK Rowlings weaves through her books. 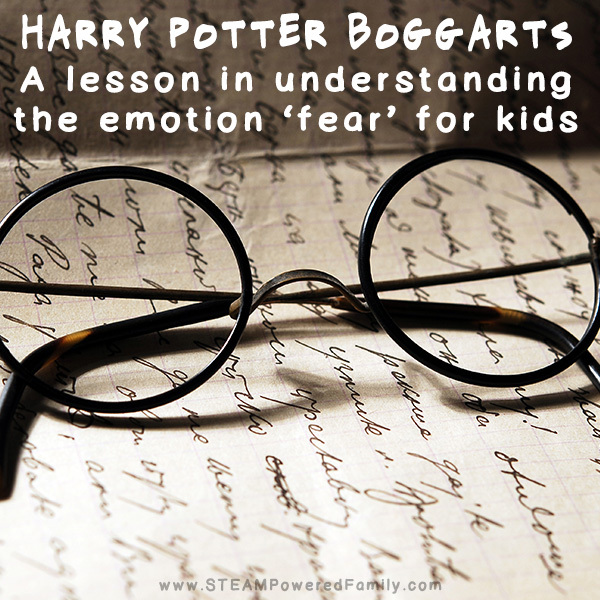 When my oldest son was struggling with a lot of anxiety and fears, I was able to help him using lessons inspired by Boggarts. There has been research into the power of Harry Potter in helping foster kindness, understanding and caring in readers. I’ve been a fan since I first read the books in 1999. And I am so happy my boys love Harry Potter as much as I do. Just Like Potions Class – Bath Bomb Experiment Resulting In SO MANY BUBBLES! 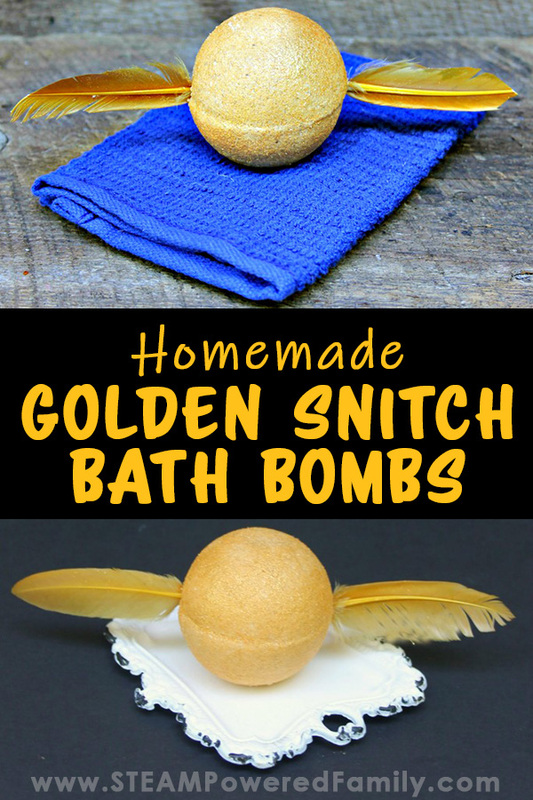 So when it came time to try a new bath bomb recipe, the one that came to mind first was creating our very own Golden Snitch. This recipe is a little different from our other bath bomb recipes, we changed up the ingredients yet again, because… well science! We know bath bombs are about the chemical reaction between acids and bases from our previous bath bomb making sessions. 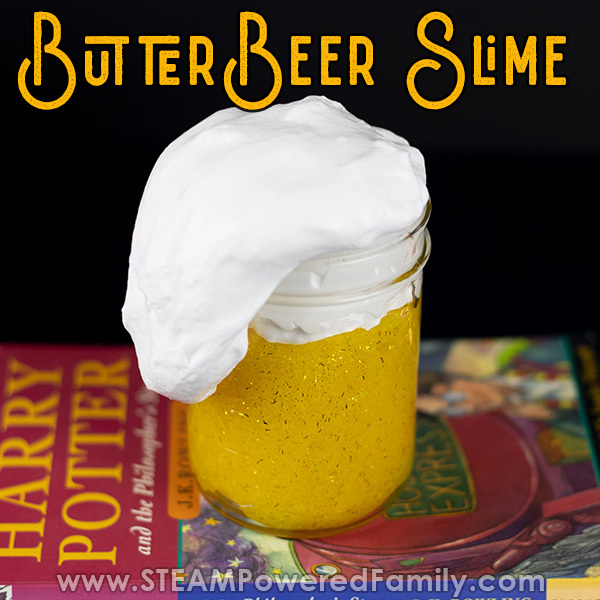 So like any great potions student, we like to experiment! This time the change in ingredients created copious amounts of BUBBLES! Kind of like the bubble bath scene when Harry was trying to discover the secrets of the Golden Egg. Bubbles, bubbles everywhere! And the wonderful, calming fragrance lasts and lasts. Makes for one of our best bath bombs yet! It starts with fizzy awesome and ends with a wonderful bubble bath. My kids LOVE their bath bombs, the fizzy, bubbly, fragrant additions to their bath always brings a smile to their faces. But if you have ever purchased bath bombs you know they are super expensive. This recipe calls for some ingredients you may not have readily on hand, but I highly recommend ordering or finding them. 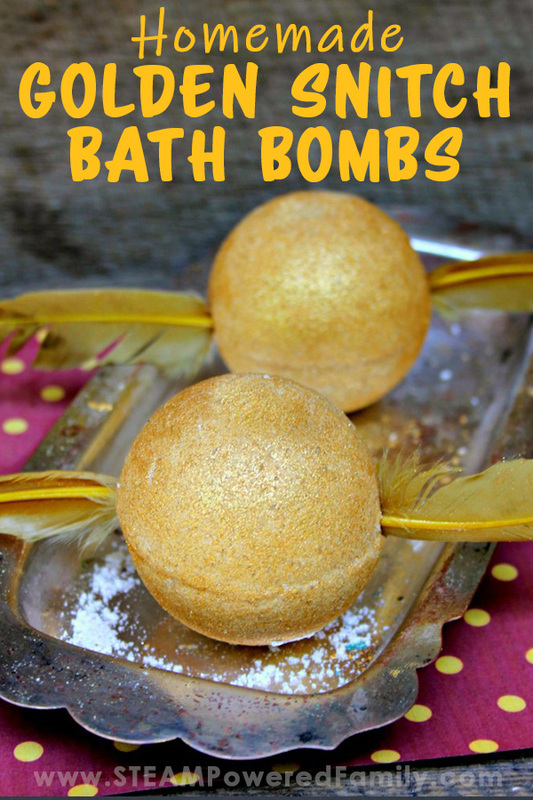 If you start making bath bombs at home it will save you a lot of money and give you a chance to explore the chemistry behind why bath bombs fizz. 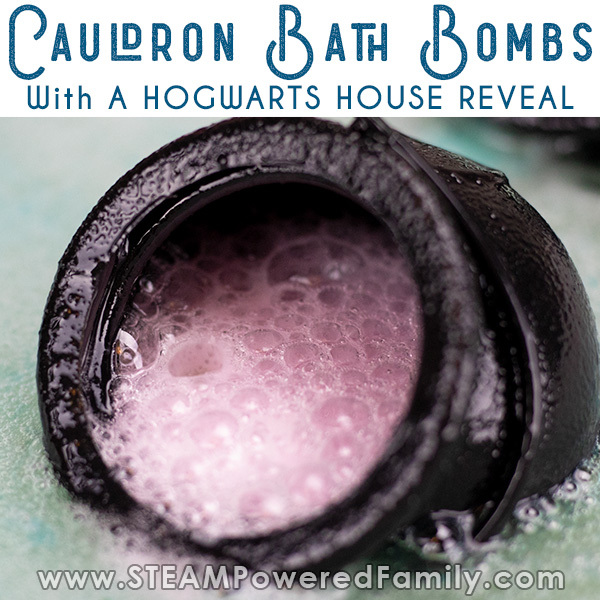 And if your kids are like mine, they are always asking “why?” To help answer all their questions, I’ve included some of the science behind the “magic” of our Harry Potter Bath Bomb at the bottom of this article. Check out the video we made showing each step in our bath bomb making including some pictures of all the amazing bubbles this new recipe creates! 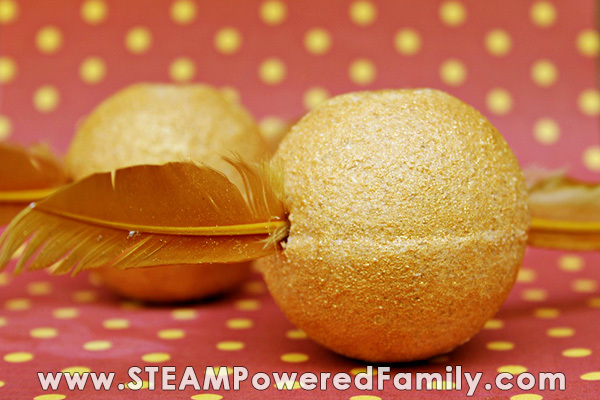 Feathers – We had some on hand, but I found these awesome ones on Amazon for next time. Link below. I highly recommend using safety goggles, gloves and a face mask when mixing up bath bombs, especially if the kids are helping you. Citric acid can be irritating and you definitely do not want to get it in your eyes. With my heart condition, I also find it is always best to be safe and protect my airways when working with anything that can become airborne. Always use common sense and protect yourself. And of course, kids should always do this project under responsible adult supervision. In a large mixing bowl, add baking soda, citric acid, cornstarch, Epsom salts, SLSA, and cream of tartar. Mix. Add lavender essential oil. This is soothing, helps you relax, improves sleep, heals wounds and has powerful antioxidants. Add geranium essential oil. This oil reduces stress, improves circulation, improves sleep, and has powerful anti-bacterial properties. Add coconut oil. Depending on where you live you may want to get fractionated coconut oil, or warm your coconut oil so it isn’t solid. You want it liquid so it mixes well. I know most of the year our coconut oil is solid. Now add glitter. We used 1/4 cup but you can alter that to suit your preference. Add gold mica powder. I added about 2 tablespoons, but again, whatever amount you like. Add water, 1/2 teaspoon at a time, mixing after each addition of water. Do not add too much water or it will not set properly! When the mixture forms a ball in your hand, you are ready to make the bombs. Using a spoon. Add the mixture into your bath bomb mold. Pack it in tightly! You don’t want any air bubbles. Press both halves of the bomb together. Leave molds overnight to harden in a cool, dry place or the freezer. The next morning, carefully open the bath bomb mold or pop the bombs from your silicone mold. Handling the bath bomb carefully, spray lightly with rubbing alcohol. Apply the gold mica powder either with your fingers, a small paint brush or add the mica powder to a bowl and ever so gently roll the bomb in the powder. Now the best part, adding the feathers so your Golden Snitch can take flight! Trim the hard part of the feather stem to about 1/8 inch. Then very gently slip into the side of the bath bomb. Repeat on the other side. Enjoy your Harry Potter Bath Bomb! Simply add to your bath water to start fizzing. I recommend removing the feathers before adding to the water, but my son thought the soggy feathers were hilarious. The choice is yours! In our previous bath bomb making activities (Mermaid and The Avengers) the kids learned about the chemical reaction that takes place to cause the fizz. The reaction between an acid and a base is facilitated by the addition of water. Carbon Dioxide (CO2) is released in gaseous form, creating the loveable and enjoyable fizzy, bubbly bath bomb. In this bath bomb recipe the chemical reaction is between citric acid and cream of tartar (acids) and baking soda (base). Check out this REALLY cool chemistry experiment exploring the properties of corn starch, which is a neutral stablizer in baking powder between the acid and base powders. 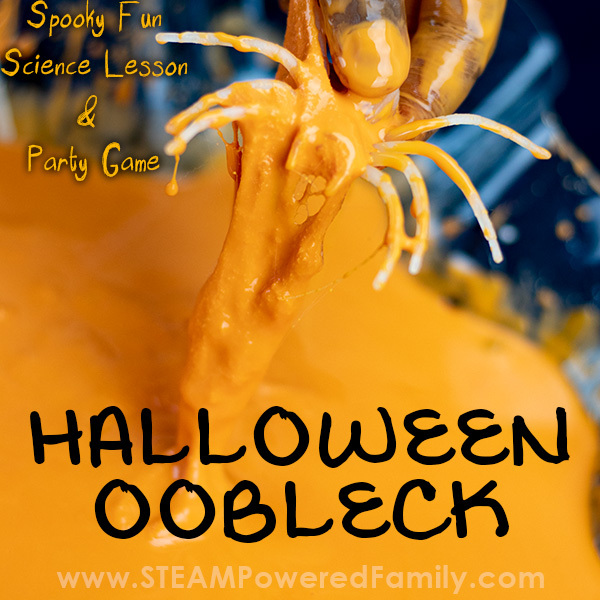 Kids love this explosive activity! If you compare our previous recipes to this one, the big difference is the addition of Sodium Lauryl Sulfoacetate (SLSA). SLSA is a surfactant that helps create a LOT of extra bubbles when used in bath bombs. In a side by side comparison between our recipes using SLSA and those without, the ones with SLSA have way more bubbles. This results in a bath bomb fizzy fun to kick off your bath but then a wonderful, fragrant, bubble bath after. Another big benefit of using SLSA is that it helps trap the fragrance of the essential oils, helping the wonderful aromas last longer. So although it doesn’t play a role in the chemical reaction, it does make a big difference in the bath time experience. If you live somewhere with high humidity or it is a rainy day, the bath bombs will take moisture from the air and could start reacting. This could result in frizzing or puffing up. Reduce the amount of liquid used in the making of the bath bombs and, if at all possible, chose a drier day to make them. Once made, ensure you store your bath bombs in an airtight container or wrap in plastic. On the other hand, if your bath bombs are too crumbly and not holding their shape, you will need to add a little bit more water. Also, make sure when you are packing the molds that there are no air pockets. You want to pack them tightly so it sets into a nice, hard, solid ball. 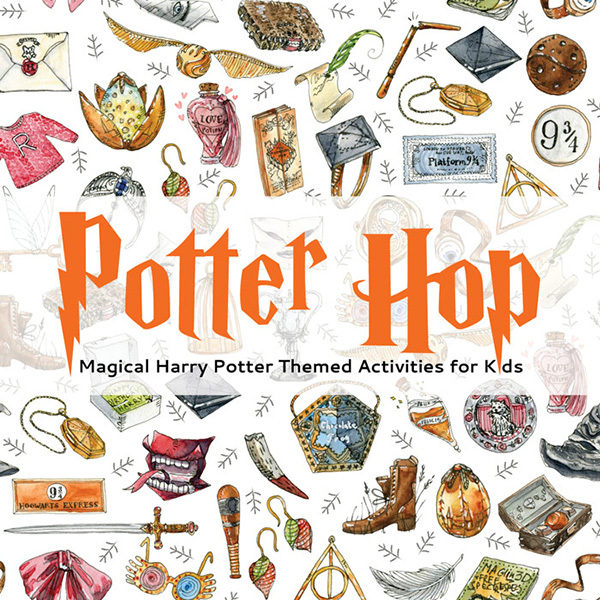 Want more amazing Harry Potter inspired activities and lessons? We have you covered with the Potter Hop! 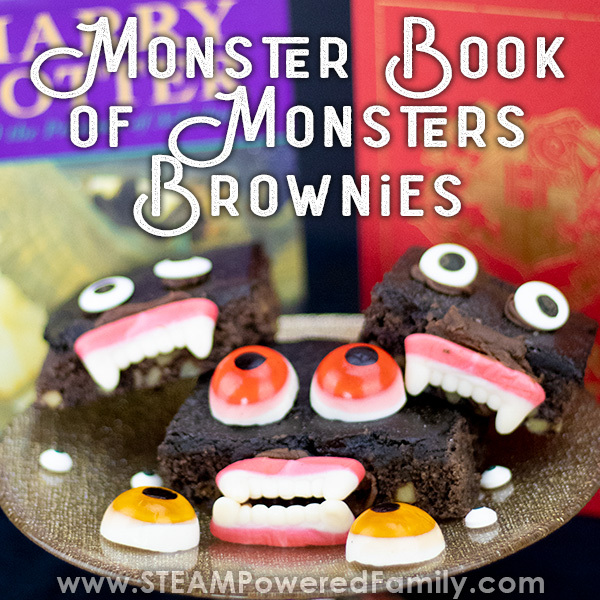 A collaboration between STEAM Powered Family, Dabble Babble Do and Teach Beside Me. 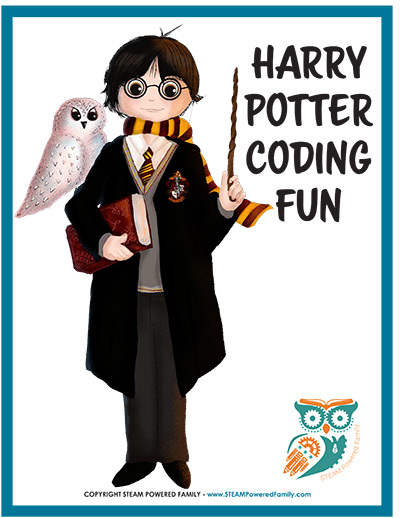 Accio Activities!